WooCommerce has become one of the best online marketplaces for your business to grow up. You can easily set up your store with some or no knowledge of programming. And if you need a particular functionality then you can add it by installing the right plugin. But, when you go deeper into the world of plugins and start to learn the complex configuration side of them, then you might feel sort of trapped. In fact, many users feel that using these plugins take up a lot of time to perform simple tasks. 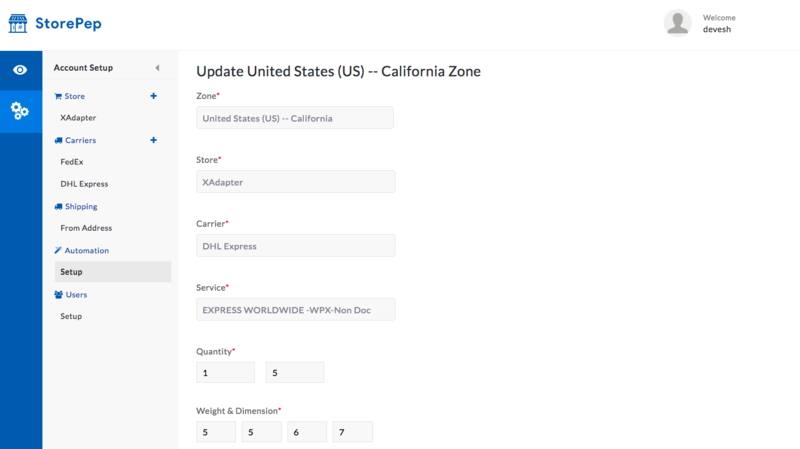 Especially the shipping plugins that allow users to print the shipping labels. Tasks like bulk label printing is a time-consuming affair as you would have to open each order and print the shipping labels for them. Well, your difficulties are about to end. By using StorePep, you can do that with few clicks and there is no need to hover your cursor all the time. This SAAS based tool is a breeze and can be easily integrated with your WooCommerce. Moreover, using shipping carriers like DHL and FedEx will be a simple job as you can set up automation rules. But before going into any further details, let’s go through the bulk label printing feature of StorePep and see how it can be useful to you. How to set up the shipping carrier? In this page, you can choose one or more shipping carriers, based on your need, and then set up the account. 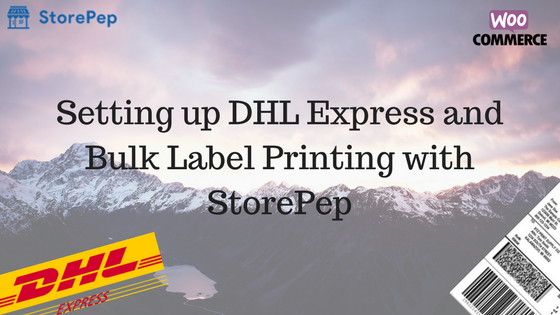 In this article, we will take the example of the DHL Express Shipping and set up the StorePep for it. We have also divided the entire page into four sections. Section 1 – This is the credential section where you would need to enter your DHL credentials. You can either use the test or the live credentials in order to use DHL and print shipping labels. But, as the name indicates, the test credentials are only used for testing purposes. In order to go live and work with real orders, you need to get yourself the live credentials. Follow this link to see how to get the DHL credentials. Section 2 – This is a very important option and many users fail to understand its priority. If you are using the Live credentials, you need to enable this option. And if you are working in a test environment then kindly disable this option. Otherwise, you won’t be able to work with the DHL Express Shipping and print the shipping labels for the orders. Section 3 – After entering the correct credentials and name the shipping carrier, you have to now configure some of the general settings here. For instance, you can choose the type of label format or define the company closing time. These settings are based on your personal preferences and you should be able to easily do this part. How to set up shipping address and rules? After doing the above task, you would need to click on the Connect button and the shipping carrier will be integrated with your StorePep. The next couple of steps are quite easy as you don’t have to enter any more credentials or define options. 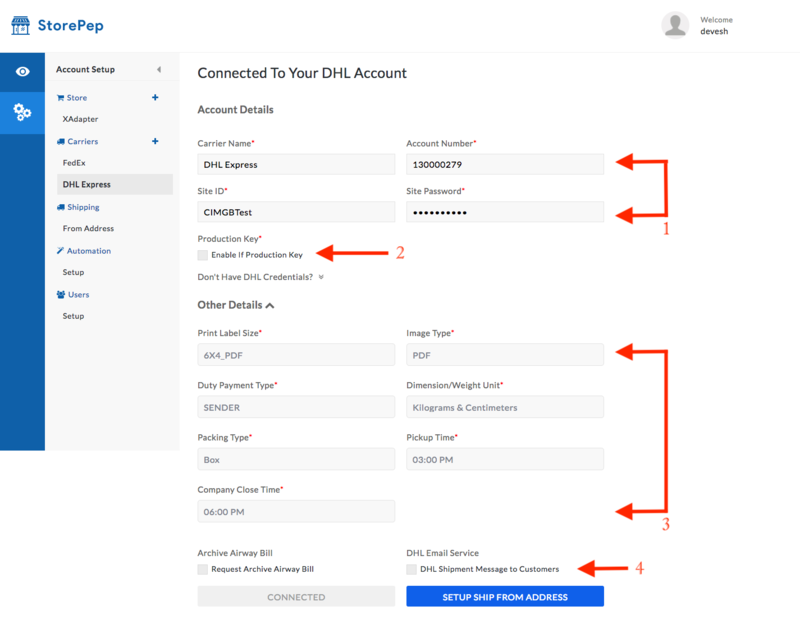 As soon as you are done with your shipping settings, you have to enter your from address as shown in the image below. We have already done this, so, have a look. As you can clearly see in the image shown above, the orders that will satisfy the above parameters will be listed together for the further process. So, the orders coming from California with the Express Worldwide shipping service will be grouped together for bulk label printing. Moreover, if you see clearly, you also have options to define the quantity, weight and dimensions of the orders. If you want to define multiple shipping rules, then you can go ahead and click on the Add New option in the Automation section of StorePep. How does StorePep handle bulk label printing? In order to know the label printing capability of StorePep, you should check out the following video. As you can clearly see in the above video, the process is quite simple and it hardly takes more than 3-4 clicks to print multiple shipping labels. Moreover, performing tasks like requesting pickups and generating manifests also seem to be quite easy. StorePep has been designed to make your shipping process seamless. You can use this platform to handle shipping carriers like FedEx, UPS, USPS, DHL and other carriers as well. Let us know how you feel about the article in the comment section below or do contact us. We would love listening to you. Happy shipping!